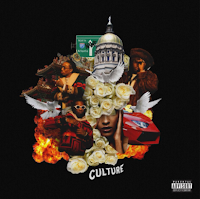 Culture is the album all fans of rap have been anticipating — even if you’re not a fan of Migos, there’s a good chance that you’re curious to know whether it measures up to all the hype. Migos spent 2016 and early 2017 front-and-centre within memes and pop culture. ‘Bad and Boujee’ was well on its way to becoming #1, even without the huge shout out from Donald Glover at the Golden Globes, thanks to Zack Fox who created a reaction meme that went viral at the end of the December. It’s difficult to decipher whether all the internet hype for Migos is genuine and not just trolling and sarcasm. This is where Culture becomes important. With all the extra attention now on the Atlanta trio, it’s time to focus on their music instead. Perhaps my expectations were set too high, but the disappointment started as soon as I pressed play. Because of the fact that the first track is titled ‘Culture’, I expected something that was going to set up the rest of the album. For a Migos song, it’s perfect — there are ad lids constantly, it’s repetitive and it’s a party track. However, it’s like they chose a random track and labelled it ‘Culture’. The only thing that connects Migos to the culture is DJ Khaled yelling out who says ‘Migos ain't reppin' the culture?’. The major hint that the track was probably supposed to be a promotional lead-up release is when Takeoff says ‘Culture album comin' soon’. How is the album coming soon if I’m listening to it right now? Though it’s only a minor detail, it’s off-putting. 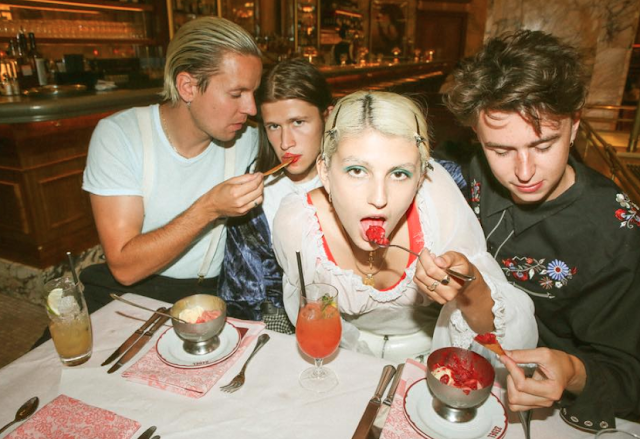 After the shaky start, things bounce back with ‘T-Shirt’, which was originally released early this year. You might be familiar with track after watching the viral clip of them flexin’ in the snow wearing fur and dead animals Coming to America style. Quavo’s hook pays homage to late Atlanta rapper Shawty Lo, sampling ‘I’m The Man’. Takeoff owns the track with his verse, he rides over the beat smoothly, and I can’t fault his contribution to the track. Offset’s verse is much lyrical, yet is also just as effective. All the components, from the verses, Quavo’s hook, Takeoff’s post-hook compliment one another, and the track as a whole proves their strong chemistry as a trio. On a production level, this is Migos' most solid project. 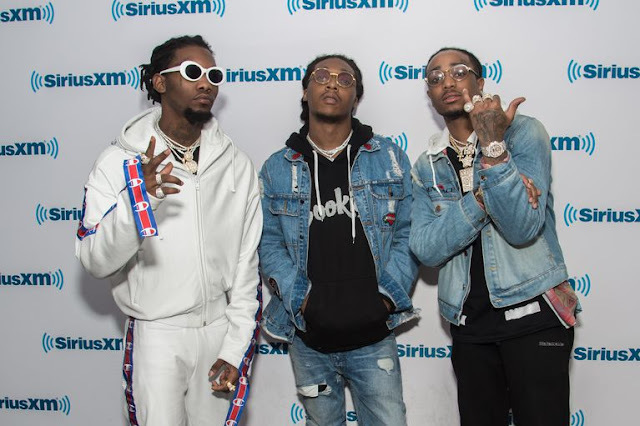 Though trap beats are expected when you listen to a Migos song, there’s much more differentiation and experimentation than ever. The album features production from quite a few producers, including Nard & B, Metro Boomin, Murda Beatz, Deko, OG Parker, Ricky Racks and Zaytoven (who has a long history with trio back to their ‘Versace’ days). It’s Zaytoven’s work that is the most intriguing, particularly his work on ‘Big On Big’, which stars lush keys that are almost cinematic-like. This type of production is different for Migos, and it’s refreshing from the beats they usually rap on top of. They also experiment with different flows on the album, especially on ‘Kelly Price’, which sees all three members adapt to Travis Scott’s flow. The track can be mistaken for a cut from Birds in the Trap Sing McKnight. It may seem weird to hear Takeoff and Offset rap with autotune (not unusual for Quavo, who does it on the regular), but it works. Though, the track would have worked better on Travis’ project and not on Culture. If you’ve come to Culture for groundbreaking lyrical content and insights into why Migos believe they’re for the culture, you’ve come to the wrong place. That’s not what Migos are about. But if you’re curious about what Atlanta's Magic City is going to play for their dancers, then look no further than Culture.